At the risk of repeating myself from previous posts, even in Schengen Europe where borders are just ‘Welcome to’ signs at the side of the road, there are usually instantly noticeable differences when you cross into a new country. In Estonia, people waved to us and smiled. This was a marked difference to the previous week (sorry Latvia) where one of our best interactions was with the old lady who was worried about our cold forearms outside a shop that didn’t look like a shop. In the first large town in Estonia, one group of people waved and cheered so vigorously that they nearly fell off their seats. They were outside a bar though, and there was a lot of empty glasses on the table. There was a helpful map of bike routes with distances., and even better a sudden increase in availability and quality of public toilets. Not exciting or glamorous, but extremely useful. On the downside, cheese had somehow doubled in cost. The cheese fiend half of our team was very disappointed. Clockwise from top left: 1. Welcome! 2. Remains of midsummer partying. 3. A whole cake to make up for the lack of cheese. 4. Actual bike routes, not beaches. 5. Quiet roads. Keen to continue its new reputation for stimulating encounters, on day two Estonia gave us all of the weather. All of it. Except snow. The wind blew strongly all day with unpredictable gusts. After 2 hours and 13km we sat in a bus stop for partial shelter and questioned our life choices. 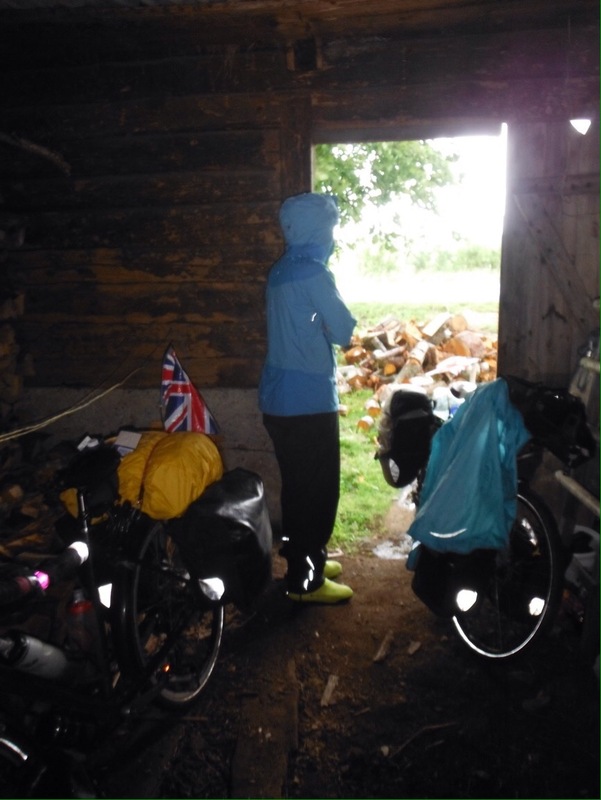 Later, we spent an hour huddled in an old woodshed that we found open, while torrential rain and hail smashed the road. The saving grace was the pack of hot sausages I had bought at the supermarket, which just about made up for the nasty smell in the shed. It was definitely not this bright. And the hail was as big as melons. Well, grapes at least. By evening things had calmed down. 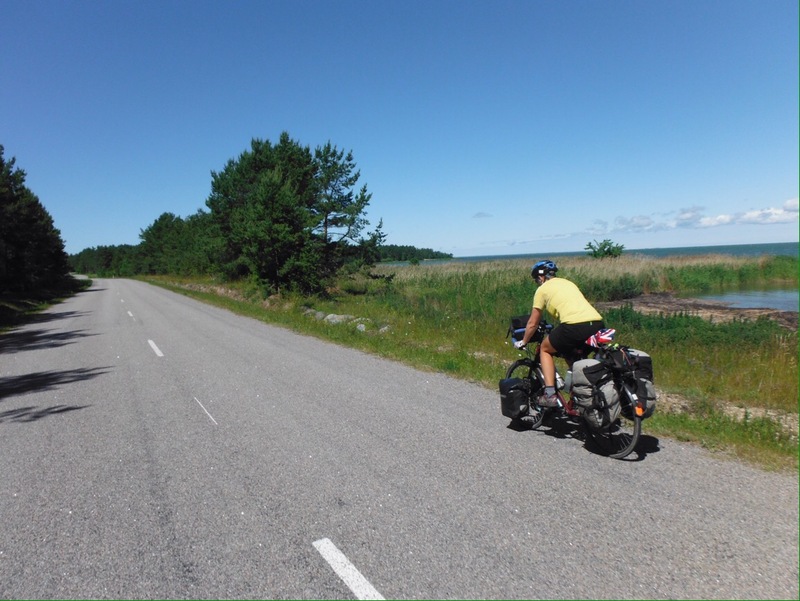 We were heading for the islands off Estonia’s west coast, as recommended by a Swiss couple in a camper van who made me a lovely cup of coffee in a campsite in Latvia. The ferry trip was smooth and sunny, it was like a different world. Jo continued to get some come-uppance for telling everyone about how few punctures she has had, with another as we rode off the ferry. 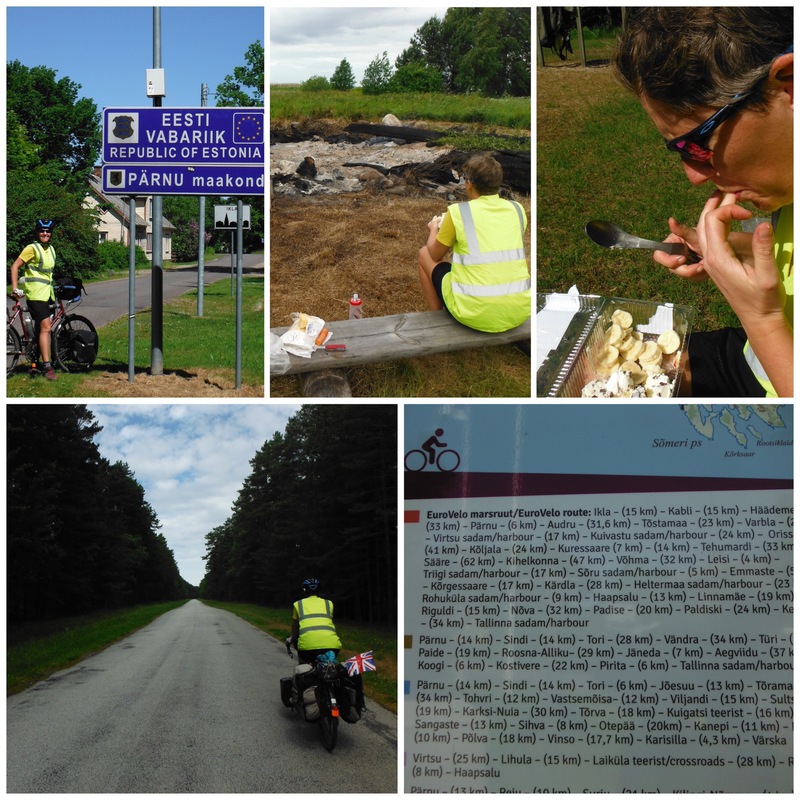 It was getting pretty late by this point but as we were now further North it didn’t really get dark so she managed a quick roadside change and we enjoyed another good campsite on Muhu Island. The sun came out, the roadworks went on forever, Jo got a puncture. The plan for the next day was a 45km ish ride, a ferry to another island, then another 45km ish towards the next ferry for the following day. There were only three ferries per day, so if we missed the 1pm it would be a seven hour wait for the next one. I’m sure you can see what’s coming here. Obviously we left the campsite a little bit later than intended. Then we got a bit distracted reading the history of a cool causeway bridge thing. 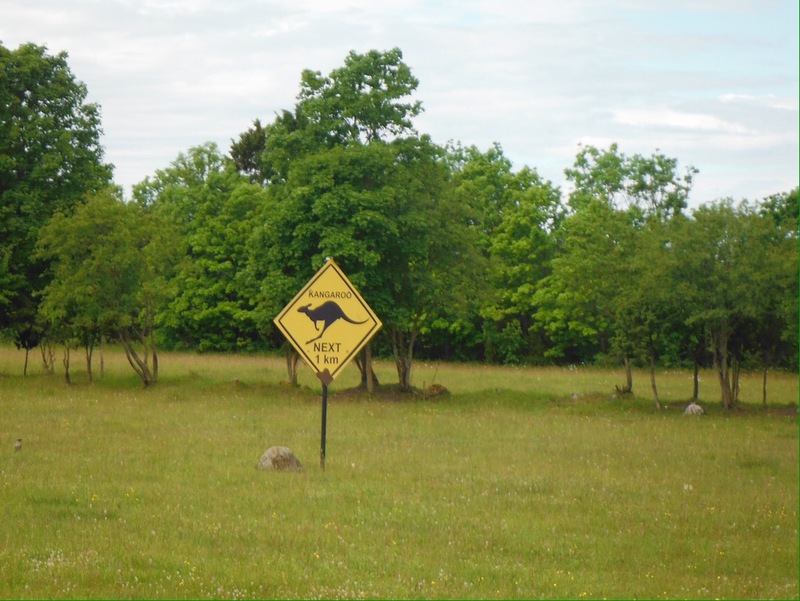 And by some kangaroo signs. Then there was a cute town (with lovely toilets). Leaving town, Jo’s puncture bad luck continued. We executed an extremely slick tube change but by this time it was after 11am and the ferry was still 30km away. Cyclists will read this and think that’s not sure a tall order. On road bikes or even unloaded hybrids it wouldn’t be. However on hefty 45kg touring bikes when you don’t really know where you’re going it’s a bit of a challenge. Add a killer headwind (we had turned westwards) and we were not feeling super confident. We made a quick start after the repair, until a few minutes down the road I realised the sun was in the wrong place/we were going the wrong way. Minor setback – we had left town on the wrong road. U turn required. Still 30km away, the race was on. We pedalled hard, with just one emergency banana stop and made it with almost ten minutes to spare. It was a beautiful ride, and should you be in the area I would definitely recommend taking a trip to the islands. Quiet roads, loads of great campsites, lovely coastline. Riding really fast. For us. 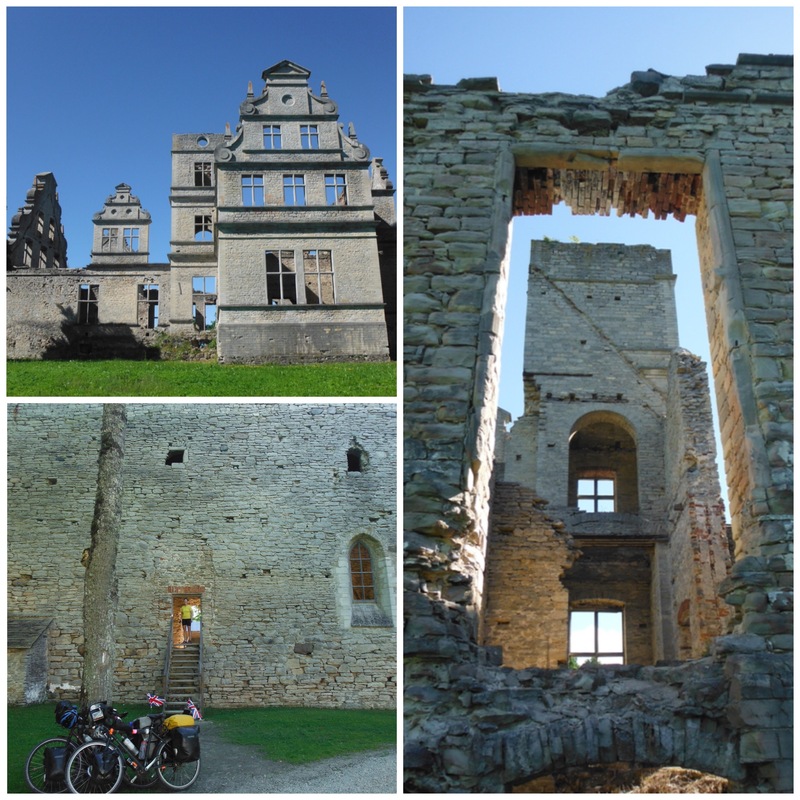 Back on the mainland, ruins were turning out to be another fun feature of Estonia. Most were signed from the road and had information boards with stories about the previous inhabitants. These seemed to have been written by members of the Soap Opera Writers of Historic Buildings Association, they were usually about controversial marriages, grand gestures of love, and murderous family members. Our favourite though was one that gave details of the St George’s Night Uprising of 1343. This described the killing of 28 monks and the burning down of a monastery as ‘only a minor setback.’ Seems like we should all reassess the barriers in our lives. Other than the odd buttress for safety the buildings had been left as they had been found, and were great to explore. The weather had cheered up and we were almost always on quiet roads. We were also meeting a lot of people doing cool trips – a German family with two toddler age children doing a three week camping tour, an Estonian family who moved to Austria for snow sports back visiting family, and in towns lots of retired Brits sailing around the Baltic (#newlifegoal – though I may need to improve on my RYA level 2). 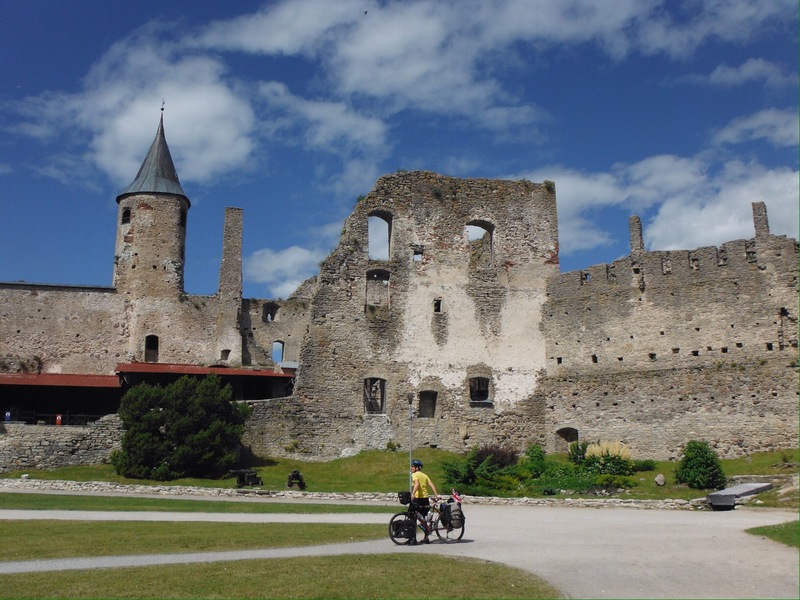 It was pretty dreamy cycle touring, and that was before we got to Tallinn. People ask us a lot ‘what’s been your favourite place?’ It’s an almost impossible question, as everywhere is so different, and fun/interesting/awe-inspiring in different ways. I can however quite easily pick out the cities that are worth going out of your way for (Rome, Granada, Tokyo); those that are good if you’re in the area (Riga, Bergamo, Seville, Malacca); and those that you could avoid and not feel like you’ve missed out (Napoli, many US cities, Vang Vieng, Siem Reap). 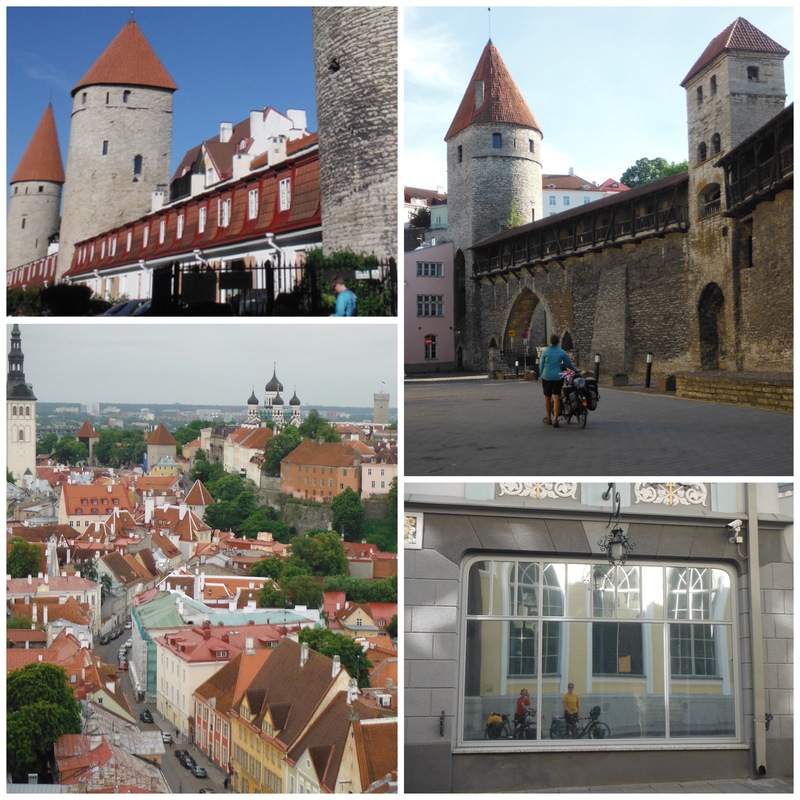 Tallinn is definitely in the first group of awesome ones – there’s just so much to look at. Incredible old buildings, brilliant city walls, interesting food, and it’s a manageable size for walking. We had two days wandering around, helped on the second day by the lovely Toomas and Veronica, who we met in Laos some months earlier, and had recently returned to their home town. Go if you get the chance. If you don’t get the chance, go anyway. We said goodbye to Estonia on a rainy Saturday morning, though it’s probably more of a ‘see you another time’, there’s a lot there still to see. 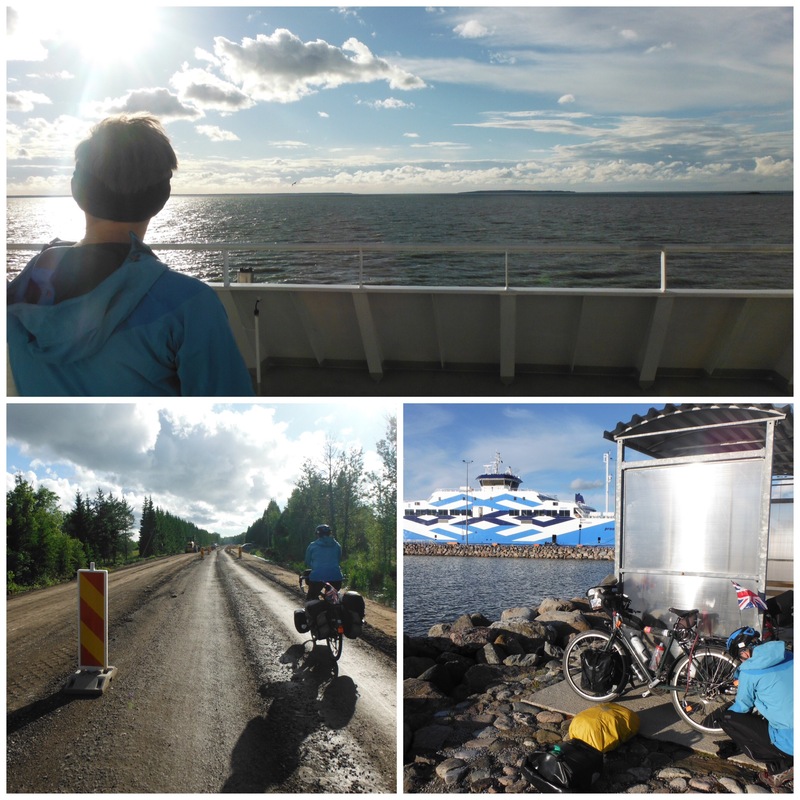 Horizontal rain smashed into us as we cycled along the exposed ferry access road to board the ship to Helsinki. Once there we would be back on the route proper, finally turning back south west and towards the UK. Thanks to: Toomas and Veronica, Anna, Federico.